Farm Terrace Allotments in Watford have been around since 1896 when demand for suitable land grew with the increasing working-class population. 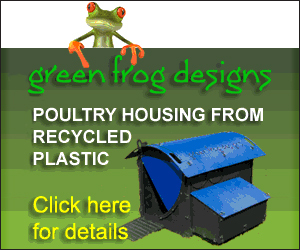 Ever since, they have been an important community focal point and green oasis in a highly urbanised area of the town. Despite this, since June 2012 the site has been under threat from a development proposal that includes expansion of the adjacent hospital and the building of over 600 homes – including up to 60 on the allotment site itself. 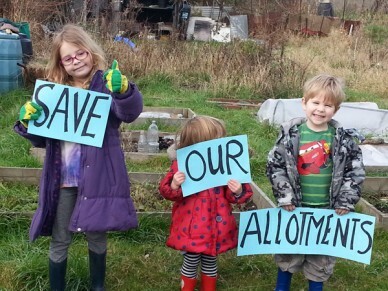 Previously the allotments were not included in the plans so when it was announced that the entire site would be needed to make the site financially viable allotment holders and residents began campaigning to save the site and preserve the heritage of Farm Terrace. This campaign has been gathering quite a head of steam and has attracted media interest from local and national press as well as some political allies and the support of the wider population of Watford. Despite all efforts to convince them of the community, historical, environmental and educational significance of the allotments, Watford Borough Council made an application to the Secretary of State to change the use of the land. The Farm Terrace Allotments Action Group countered the submission with their own proposal to make the land a community asset. This would mean that the local community have nominated the land as valuable to them and that ultimately, if it were put up for sale, they could have an opportunity to buy and run it themselves. 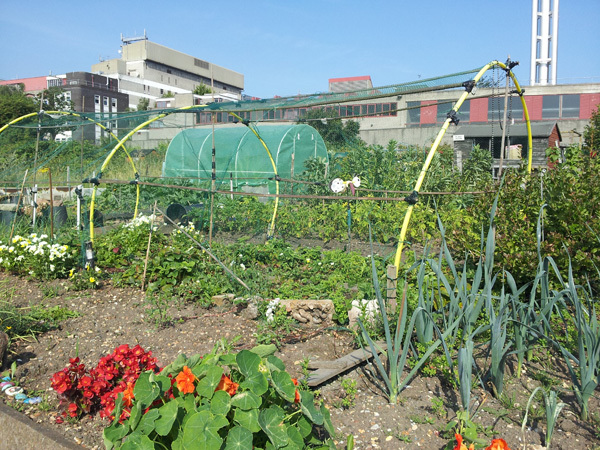 How can you help Farm Terrace Allotments? The Secretary of State is likely to make his decision within the next six weeks so if you would like to support this campaign it is important to make your views know as soon as possible. You can find out more by visiting the Facebook page‘, the website or by following the Twitter Campaign @SaveFarmTerrace but most importantly you can put your weight behind the campaign by writing to the Secretary of State at the address here.